Slot machines are, by and large, intuitive to play. However, there are a number of different variations and special rules used by many slot machines. For the average first-time casino-goer, the variety of slots may seem overwhelming. 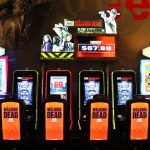 All the different options and slot machine choices can be confusing, so be sure to read on to learn about some of the most common slots rules for both brick-and-mortar slots and online casino slot machines. Historically, the earliest slot machines contained mechanical reels that spun and landed on three random symbols when a handle was pulled. If the three random symbols matched, the slot player received a payout. We have come a long way since then, and now most slot machines work digitally. A video screen and computer program determine the outcome on the screen for the player. Online slot machines use this same digital system for determining whether players win or lose. 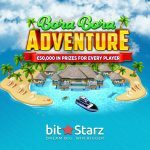 With multiplier games, the more coins you use, the greater your chances for a big payout. For instance, if three bars in a row win a 10x payout and you insert five coins, you receive a 50 coin payout if you get three bars. 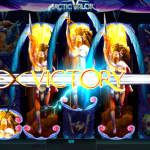 Hit frequencies on multiplier slots are not usually as high as multiple line slots. 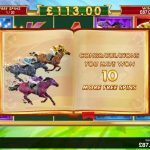 With traditional and old-fashioned slot machines, you only receive a payout for combinations along the center-most horizontal line, despite being able to see the top and bottom lines. 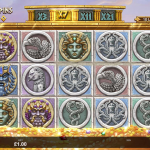 Multiple payline slot games allow you to activate more than one payline. In addition to the center line, you can activate the top and bottom lines as well as diagonal lines, improving your chances of getting a winning combination. Some machines offer in excess of one hundred lines you can bet on. For example, one of the most famous slot machines, Buffalo Slot is a 243 way game. On many multiple-line games, you see up to five symbols per line and at least six different diagonal or angular possibilities. If you want to go for the big jackpots, make sure to bet on max pay lines. 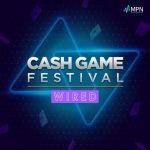 Additionally, there are special features such as wild and scatter symbols, lucrative free spins bonus rounds and mini games that can offer huge payouts when you spin the reels. 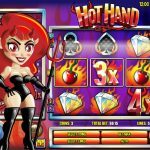 As some of the most popular types of slots, progressive jackpot slot games add to a pool each time a player inserts a coin. If the player gets the rarest combination of symbols, he or she receives the enormous progressive jackpot on offer, often reaching levels of up to $1 million or more. Winning this jackpot can change a person's life. 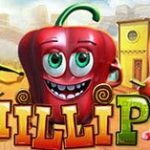 In order to be eligible for the progressive jackpot, most progressive slots require players to bet the maximum amount of coins in order to get the highest multiplier along the most lines per spin. Progressive slot machines can be found at any online casino website. If you ever visit an online casino that doesn’t offer progressive slots, you might want to consider going elsewhere. That would be a sign that the online casino is not staying up to date with the rest of the online casino world.